Many business owners act out of a passion to make a difference, but unless they get to grips with their financials, and most importantly their mindset, they’ll struggle to sustain their business and grow it to the next level. That’s where Helen’s book comes in. As well as practical tips to help you to price your products & services and value your skills, you’ll learn from Helen’s wealth of experience helping you to change your beliefs and mindset about money. Using her four minds concept, she’ll guide you on a journey to building a financially successful business and enjoyable life. 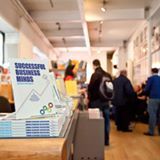 With tips, questions, and lots of useful information, this book is highly recommended for any serious business owner. 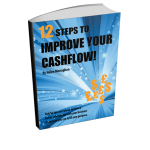 Fantastic book, easy to read and makes cashflow and finances interesting. As I read, I was aware of subtle shifts in my attitude, understanding and confidence to tackle some of the areas I’ve been neglecting. As well as reflecting her skills as an accountant and coach, Helen speaks from the heart and her values, passion and integrity shine through in her writing. I can’t wait for the next one! Visit our forthcoming books page!